The FetchyFox app and GoWith social platform will help solve real-world passenger problems and help enhance your flying experience. 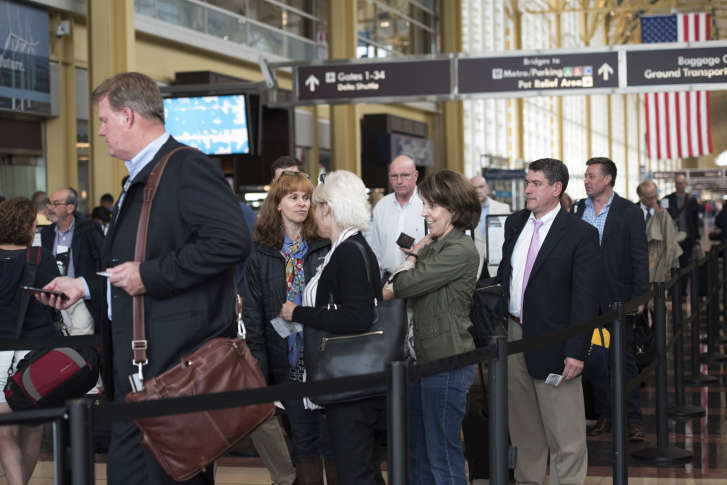 WASHINGTON — You could soon get food delivered and make new friends before your flight, courtesy of two startups chosen by the Metropolitan Washington Airports Authority and D.C.-based tech incubator 1776 for their joint Airport Innovation Challenge. FetchyFox, a Sunnyvale, California-based startup founded by two frequent flyers, is an app and service that provides delivery of food and retail items to airport passengers at their gates. GoWith, based in Israel, is a social platform that, using artificial intelligence, connects passengers with similar interests and likes at the airport. “These startups stood out from the other applicants as not only having innovative ideas, but also providing solutions to real-world passenger problems and products that can enhance our passenger’s experience,” said Jerome Davis, executive vice president and chief revenue officer for the Metropolitan Washington Airports Authority. Each company will get $15,000 and work with the airports authority to refine its productions through a 12-week program. The companies will work with the airports authority’s Passenger Experience Innovation Labs at Reagan National Airport and Dulles International Airport, as well as 1776’s Crystal City incubator. The two companies will present pilot programs to the airports authority on June 21. The airports authority and 1776 launched the Airport Innovation Challenge in November.